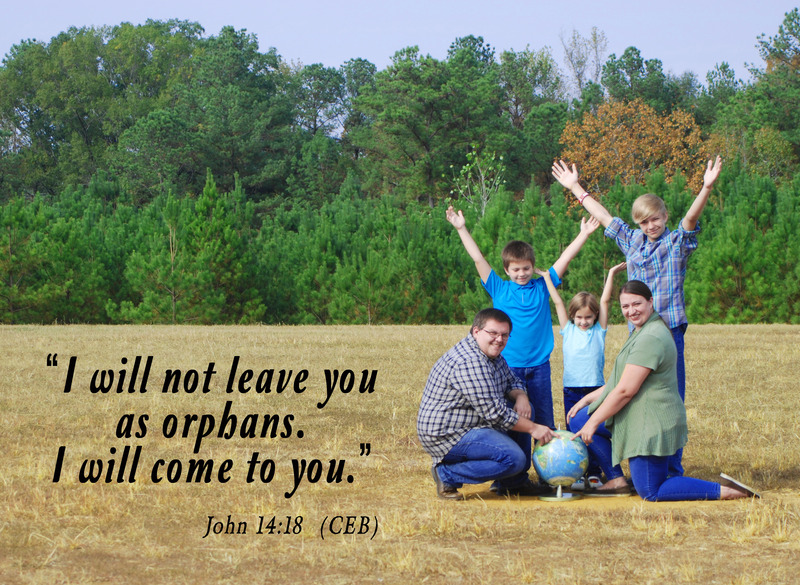 We, the Burke family is excited to announce that it is our hope and prayer to add to our family through adoption. For many months, God was prompting both Brandon and I (individually) to open our home to another of his precious children. Once we shared with each other what God had laid on our hearts, we knew God called us to international adoption. After much fear and prayerful consideration, we have embraced God’s vision for our family. God has called us to make an immeasurable difference in the life of a child who needs a family and we are heeding His call. We are just in the initial stages of our adoption journey and have started working with an adoption agency. We will be welcoming a special needs girl, ages 2-5, from South Asia. There are 33 million orphans in her country alone, most of which are girls with special needs. We are asking you to join us and be a vital part of our story; a story that imitates what God has done for us in Christ; a story that reminds us that we are all adopted by our heavenly Father. First we ask you to support us through prayer. We fully believe God has called us to adopt, and we fully believe He will open every avenue to make it possible for our daughter to join us as soon as possible. Please pray with us that every obstacle both domestic and international will be removed. Second, we ask you to support us financially. It is no secret that International adoption is very expensive. There are numerous fees, both domestic and international, which are substantial and must be paid in full before we can make our family complete. We know that all the money in the world belongs to God and His plans cannot be thwarted. We believe God will provide in abundance and when He does, all thanks, praise and glory will be given unto Him. But we cannot do this on our own. This is why we are asking you – one of the many friends and loved ones with whom God has blessed us – to invest financially in this endeavor. With your financial support, you are playing a crucial role in providing a safe and loving home environment for one child of God, who is currently in dire need of a family. Brandon’s company provides an employee benefit for adoption that covers about 10% of our total costs. We will need to raise the remaining 90%. We plan on applying for a grant, hosting a benefit concert, selling crafts and homemade goods, and having a large yard sale, as well as other fundraisers. This seems daunting to us, and forces us to act outside the boundaries of our comfort zone, but we are stepping out in faith, trusting God will provide as He is directing this entire journey. We are committed to this process no matter how hard it is and no matter how long it takes. We are having a custom photo puzzle made of the image we’ve included with this letter. We will record the name of every person who makes a donation to help bring our girl home on the back of a puzzle piece. This puzzle will be framed in the girl’s room, so she can see all the people who played a vital role in bringing her into a loving, Christian home. Whether you feel led to help us financially or through your prayers and encouragement, it all means the world to us! The process can be long and the time-frame is unsure, but we are officially an adopting family! We appreciate your love, prayer, and support as we begin this exciting journey.